Glendale – ANCA-Glendale hosted a community Blood Drive on Sunday, March 31. 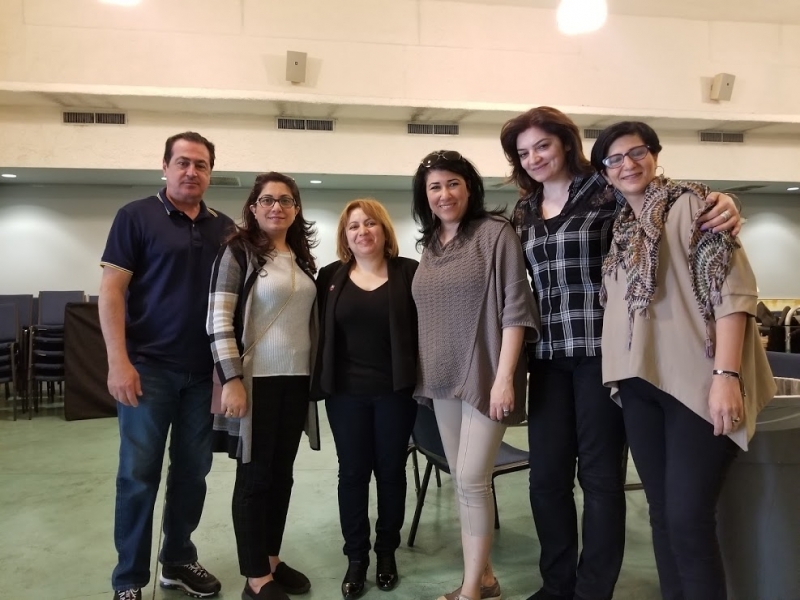 The Blood Drive took place at Glendale Youth Center and was dedicated to the 1.5 million Armenians that lost their lives during the Armenian Genocide. Every year, The ANCA-Glendale in partnership with the American Red Cross and several affiliated community-based organizations organize an annual blood drive to give blood to those in need and to commemorate the 1.5 million lives lost during the Armenian Genocide in 1915. According to the American Red Cross, less than 2 to 3 percent of the eligible donors in Southern California donate blood. One pint of blood can save up to 3 lives and about every two second someone needs a blood transfusion. “Your drive was fabulous! We collected 31 pints! Amazing! Thank you so much for all your hard work. We look forward to working with you again!”, Kathleen Ritter, American Red Cross Account Manager II, said to ANCA Glendale representatives after the Blood Drive.